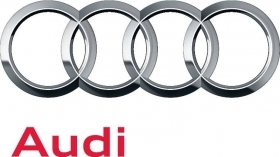 MUMBAI (Reuters) -- Audi plans to increase capacity at its Indian plant by 50 percent, the head of its India unit said, as it looks to become the country's biggest luxury vehicle brand. The carmaker will increase capacity at its Aurangabad plant in western India to 9,000 vehicles from 6,000 vehicles by the end of 2012, Michael Perschke, head of Audi India, said on Thursday. Audi sold just over 5,500 cars in Asia's third-largest economy in 2011, and targets sales of 8,000 cars in the current calendar year, as it looks to overhaul BMW and Mercedes-Benz at the top of the Indian luxury car market. Audi sells a number of cars and SUVs in India including the A4 and Q5 models, which are built locally and the A8 and Q7, which the automaker imports. In February, Audi said it plans to add 10 dealers to its current network of 15 this year.